Very Big Reasons Get Out & Socialize To Build Your Dream Life! 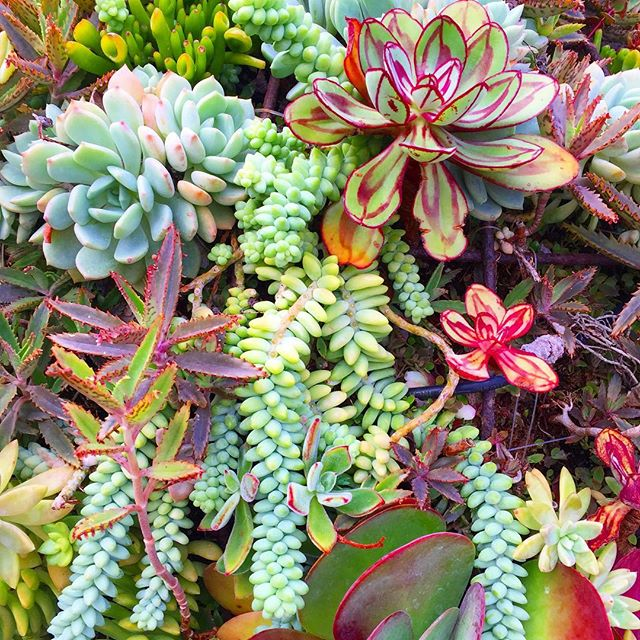 I recently realized that what is so extra-magical to me about succulents are the way that they can grow as interconnected families. That interconnectedness is what adds prosperous energy to their symbolism. Socializing and connecting in this way seems like it’s constant these days with so much “social” media, but that’s not the deep connection that in person, one-on-one meeting brings us. Socializing in real life is biologically important. It’s how we learn, grow and expand. Socializing is part of being self-expressed and fully-actualized according to great researchers and thinkers. Socializing – in a profound sense- brings us up to a much bigger world of Tao- where we realize we’re all one and we’re all in this world together. Socializing is one of the most vibrant ways to fulfill that very true statement that “it takes a village” to build a successful life. Contrary to the idea that self-made people are an island onto themselves, nothing we create is created alone! 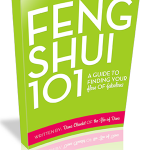 Today’s feng shui is all about, paradoxically, getting out of the home & office and getting connected. While I deal with homes and offices and art studios a lot in my daily work of feng shui, there’s a world outside of these spaces that counts bigly toward your creation of a life that is full and enriching. A Third Place, or a Second Place, is vital! This concept I learned from an old Fast Company article that stuck with me as I was working more and more at home (the dream and the new reality for many of us!) and feeling a bit like an island of one person! In my New York life, my local coffee spot was my Third Place. In my historic building in Hollywood, the grand lobby and pool was my Third Place where people would come together daily in creative ways. I needed a Third Place in my new home, and once I found it, life clicked more seamlessly with a flow of new people. When I feel the need to expand, another Third Place gets added- be it a yoga class, a new coffeee spot full of interesting people or a social club (there are so many in LA! )- that makes life more fluid with connection again. Do you have a Third Place? Or a Second Place and Third Place if you work at home? This is such a leap forward if you find space to connect to others. Gyms, clubs, sports teams, associations, restaurants, coffee shops, libraries, places of worship, parks, pools, beaches… you can find your tribe. Not in a business sense, but in a life sense: find your people. I’ve heard the “find your tribe” idea applied to social media marketing and “strategies” and all sorts of angling but I find that all to be such superficial noise. The people who you’d put in the innermost circle of a chart of people who you’d trust with anything are your core family in life. I know people who have thousands of social media friends and party friends but only a few people who really know them at all, in an honest and sincere, soulful way. 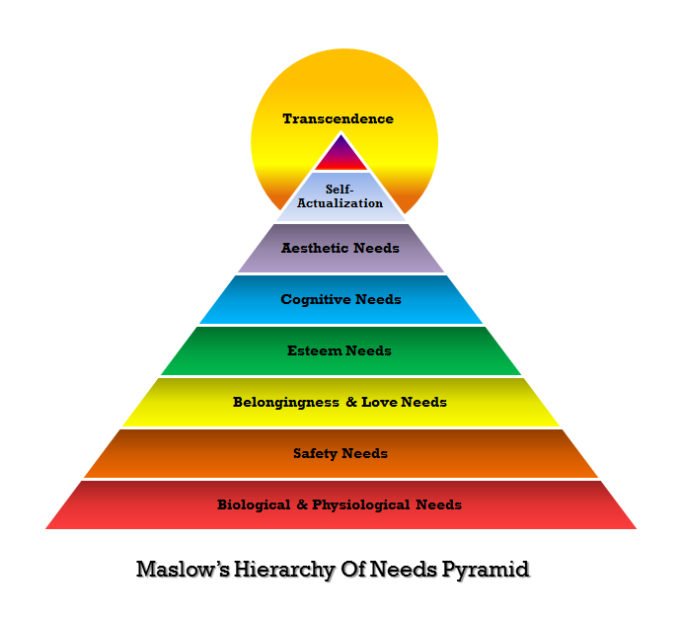 In this time tested Pyramid created by Maslow, in order to rise up from the bottom to the Self-Actualized top of life where you’re fully thriving, you need that yellow band of Belongingness & Love needs fulfilled. This is a deep and true concept, not one that your social media profile or a can fulfill in a deep and true way. I once had a boyfriend with a trillion friends – it seemed – yet no one knew him, truly. Almost no one knew the truth about much of his life. He would say things like, “Love is easy for me,” but I felt no love from anyone around him and most of the people around him were focused on themselves or their own self-destruction. When he needed things, pretty much no one would help him. There was this emptiness and disconnection that reverberated through all of his life that was so full of people. It was ultimately the least amount of love I’d ever connected to because love isn’t easy for people who are not connected to life in true ways; it’s all surface stuff. Moral of the story: you don’t have to be “popular” you just need your people who are true. If that inner circle of yours is lacking in heartfelt power, try finding it within you first. De-clutter all the ideas that keep you seperate from others or keep you attached to takers, vampires or other people who aren’t full inside. Engage in your life in ways that bring your spirit to light and you’ll find the right people seamlessly appear or re-appear. Do all the stuff that lights you up that I talk about endlessly because lots of us think it’s frivolous to indulge in hobbies and stuff in such busy times, yet it’s all vital. Loving life brings out more of you… and that brings you more to to others in ways that are meaningful. Building new friendships, building relationships, staying connected to your family that you choose- this is a real priority, not a luxury. Interesting science suggests that your connections to others can keep you healthier! Ultimately, that safety and security in being connected will help you to excel, risk and love bigger, and that’s all the energy that makes life truly abundant. Enjoy the love & abundance! 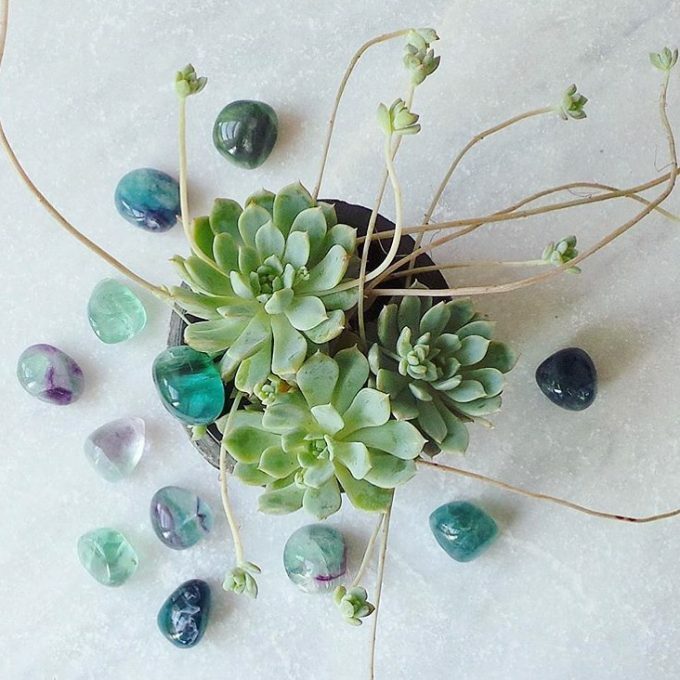 5 Feng Shui Ways To Elevate Your Life To Exceptional Heights! Wickedly awesome post and (as usual!) very well timed. Previous post: What Can Make You A More Brilliant & Original Creative Genius?! Next post: The Wild Power Of Trading In Super-Busy For Super-Productive!